I know I only get a handful of regular readers but I'm going to ask you guys or gals a quick question: what makes you come back for the next one and what makes you not care if you miss one? I'm just curious because I've had some posts that have a fairly good amount of views, nothing Earth shattering, but enough and then the very next post will get significantly less numbers, (I'm talking 50 views for one post, 7 for another). Thanks in advance. But that's enough of that - let's get down to the funny business at hand. Hardcover Highlight was another fairly easy decision. All New Captain America Vol. 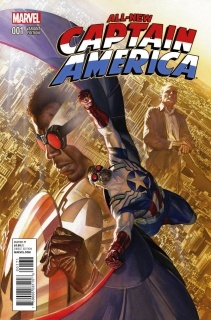 1: Hydra Ascendant is a Premiere edition hardcover with two different covers - one by Alex Ross and one by Stuart Immonen. 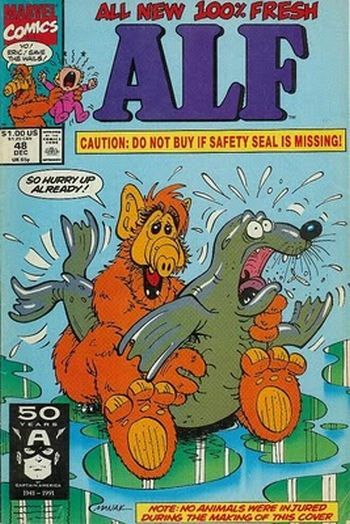 Turns out the "All-New" in the title is literal. It's not Steve Rogers. 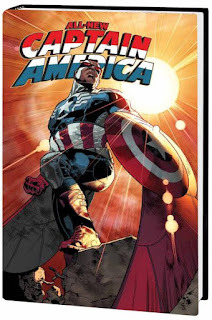 It's Sam Wilson, (whoever that is...well, Captain America, I guess) in a story that will have him earn the right to wear the Red, White and Blue by making the greatest sacrifice of his life. There's also a trade coming out this week featuring Mr. Wilson. Build up the new guy enough and Chris Evans may have to worry about his place in the MCU. Or maybe just get used to sharing Cap's screen time. Actually, that'd be kind of cool. 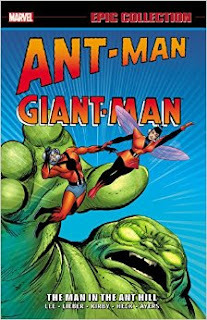 I initially thought Giant-Man was a different hero all together so I was surprised to find out it's Hank Pym using his powers to become the opposite size. I'm also wondering if Marvel is going to include Hank Pym in the movie in some way or possibly in future movies and that's why they're releasing stuff that doesn't have Scott Lang in it. Either way this is written by Stan Lee and drawn by Jack Kirby who some of you may be familiar with. I don't know why but I seem to have an affinity for Howard the Duck. It's odd because I've never really read any of the perverted duck's comics. I saw the movie when I was probably too young to see it and then had nostalgic remembrances of it until I watched it again when I was probably too old to be watching it and didn't really enjoy it. And yet here we are. When I see anything Howard the Duck related I smile. I don't know why. But yeah, the title for this one is fairly self-explanatory and does most of my job for me. 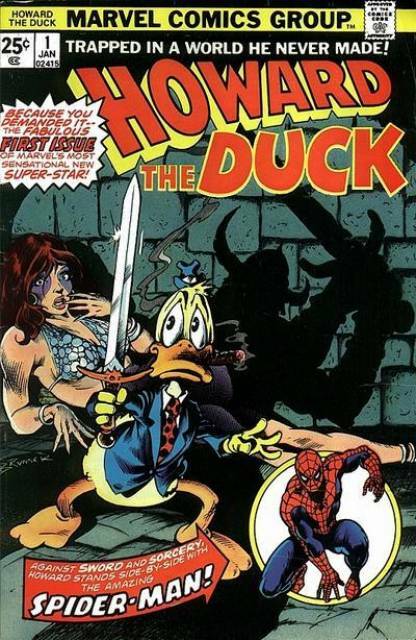 I guess that's just another reason for me to like Howard the Duck. Two great collections spotlighted this week! I would get the Howard the Duck book if I didn't already have the Omnibus. And truthfully, Ant-Man is one of the weaker Lee/Kirby collaborations, but I'm planning to get the Epic Collection anyway. Thanks! Is the Omnibus hardcover?